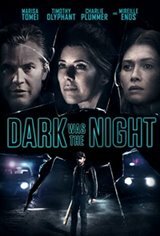 There's an unwritten rule in families that no two people can go crazy at the same time; so when Margaret, who's always been in control of her life, falls apart after the unexpected loss of her husband, her teenage son, Marcus, is forced to stomach his own grief and become the man of the house. After hitting bottom, Margaret scrambles to find the strength to be a mother again, following Marcus into the deep woods where he has gone to seek solace. Out of their comfort zone, in the middle of nowhere, mother and son begin to find a way forward.